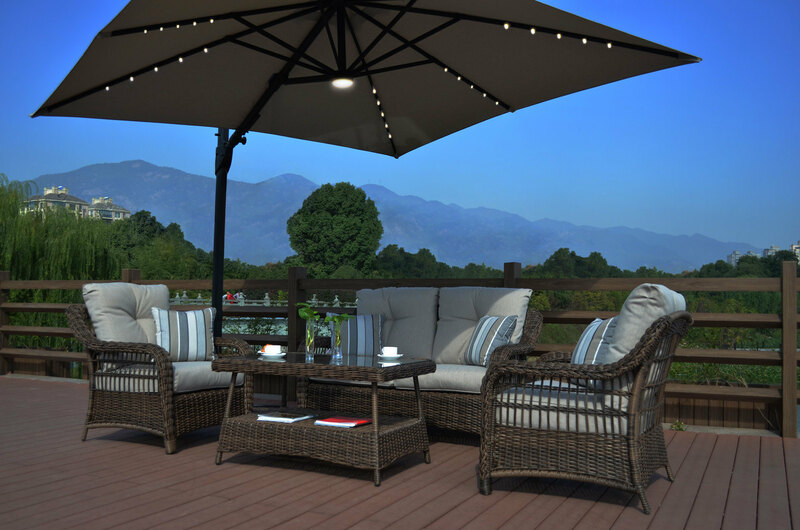 Turn your patio, deck or veranda into a relaxation retreat with the Cambridge Collection. Constructed from a durable aluminum frame and all weather resin wicker, this beautiful conversation set blends the best of classic patio styling with the comfort of plush deep seating Olefin cushions. The matching patio dining tables and chairs make this collection a must have for every backyard. Crafted for comfort as well as style!